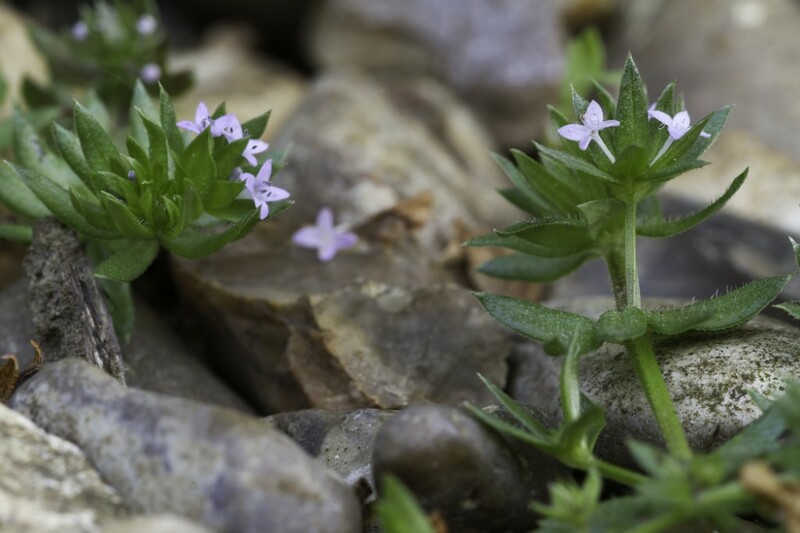 Field Madder is a small, trailing plant that can be easily overlooked; however if examined in detail you will find it is an attractive little plant somewhat similar to a bedstraw with clusters of tiny pale lilac or pink flowers. It can be told apart from the bedstraws by the presents of a calyx and the colour of the petals. 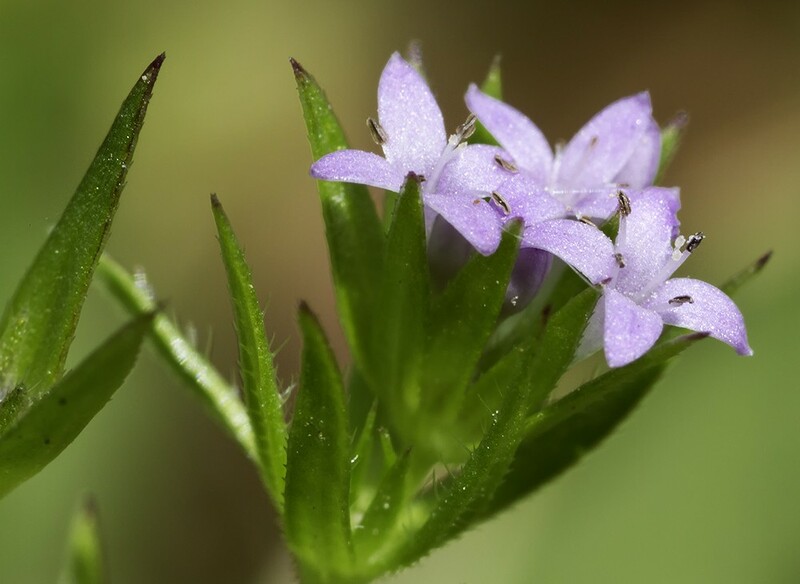 Field Madder is a British native annual found in open, drought prone grasslands, arable fields, waste ground and road verges. 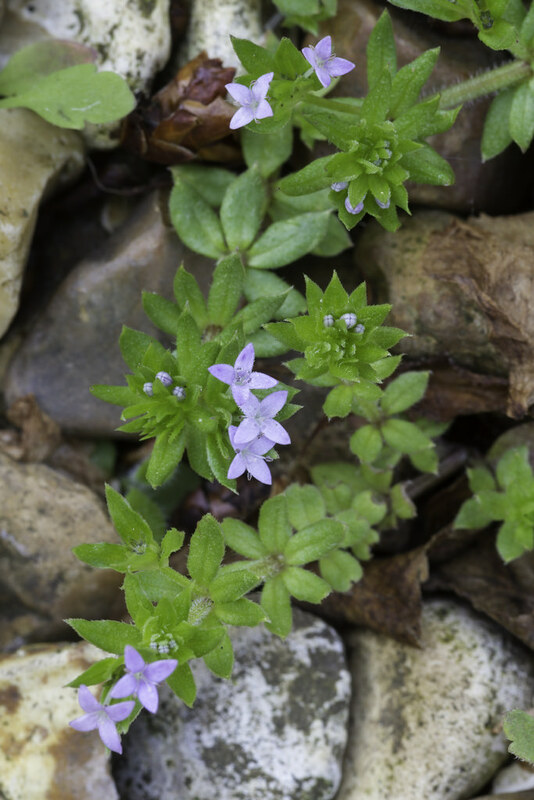 It is a relatively common plant over much of the south and east of England but is less frequent and more coastal in the north and west becoming rare in Scotland. 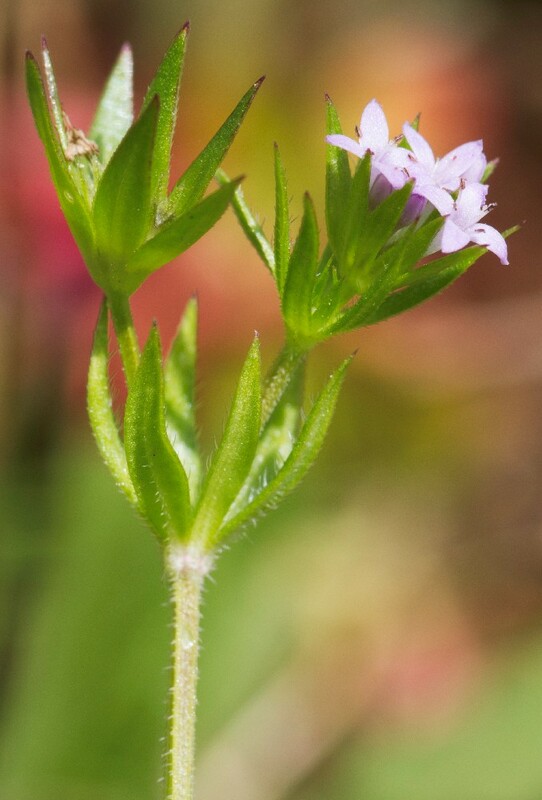 The fleshy roots can be used to produce a red dye similar to that obtained from Common Madder (Rubia tinctorum) but nowhere near as good and rarely used.